Pictured above, the Irish pub, The Plough and the Stars on Clement Street, carries on its decades-old tradition of the Sunday night seisiún. 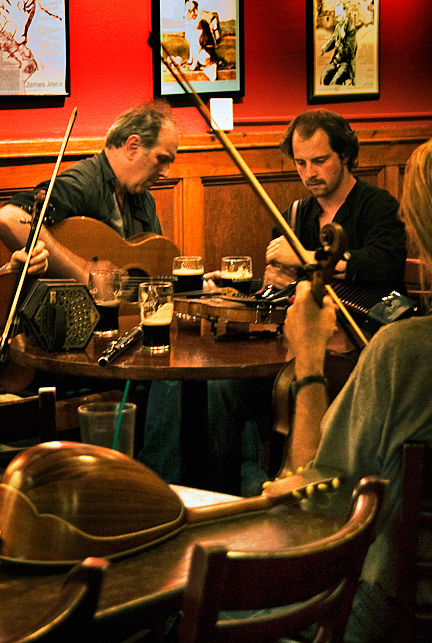 A seisiún is an Irish tradition where people assemble and drink to the local musicians after a long hard days work. At The Plough and the Stars anyone is welcome to bring a fiddle, flute, accordion, concertina, tin whistle, mandolin, banjo, or guitar and sit in with musicians. 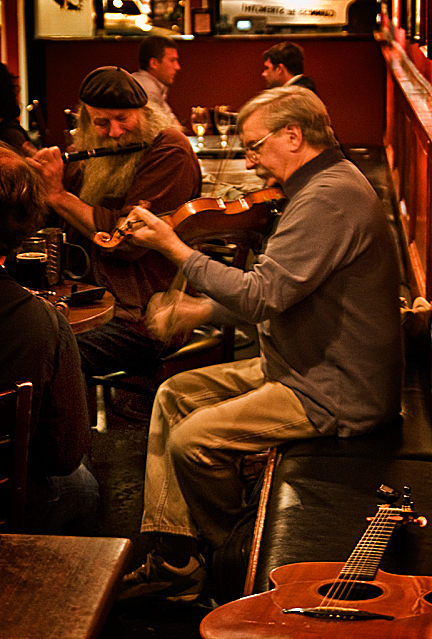 The seisiúneers play traditional Irish music from jigs to waltzes, and sometimes are accompanied by a singing balladeer. Those patrons not playing an instrument often provide drinks for the musicians, if they enjoy the lively musical sets. 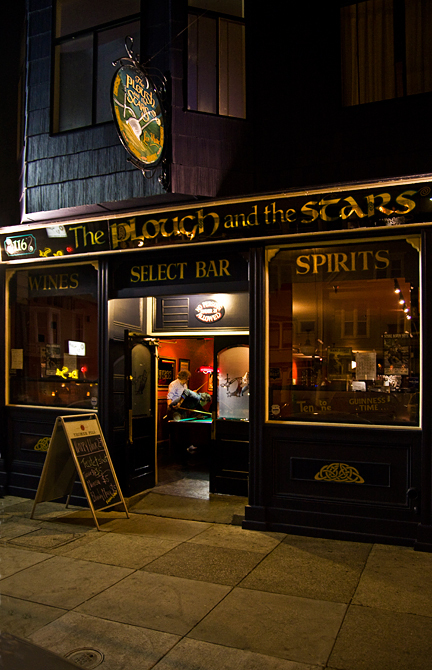 The Plough and the Stars has been voted the best best Irish pub in San Francisco and features live traditional Irish music every night. Their Sunday night seisiún is open to the public and free of charge.